Erika Banerji was born in Assam and educated in New Delhi, Warwick and London. She began writing at an early age winning prizes for her short stories and essays in both English and Hindi. Her love of English literature brought her to England in the early nineties after which she researched widely in the field of nineteenth century Indian women writers who wrote in English. She has a PhD in English Literature. Alongside her academic interests Erika has written and reviewed extensively for The Statesman, The Asian Age, Biblio, The Times of India, The Observer, Wasafiri and The National. She has interviewed and written about several leading literary figures including Nirad C. Chaudhuri, Arundhati Roy, Meera Syal, Mohsin Hamid and Jaishree Misra. She was weekly columnist for The Times of India from 2000-2003 and guest columnist for The Business Economics in 2003. In 2012 she graduated from The Faber Academy six-month ‘Writing a Novel’ course. Her short fiction has been published in several international literary journals. She is currently writing novels. Erika lives in London with her husband and two children. Whilst writing, her favourite companions are her two cats and a devoted Cocker Spaniel named Ludo. Erika Banerji is a writer and journalist. 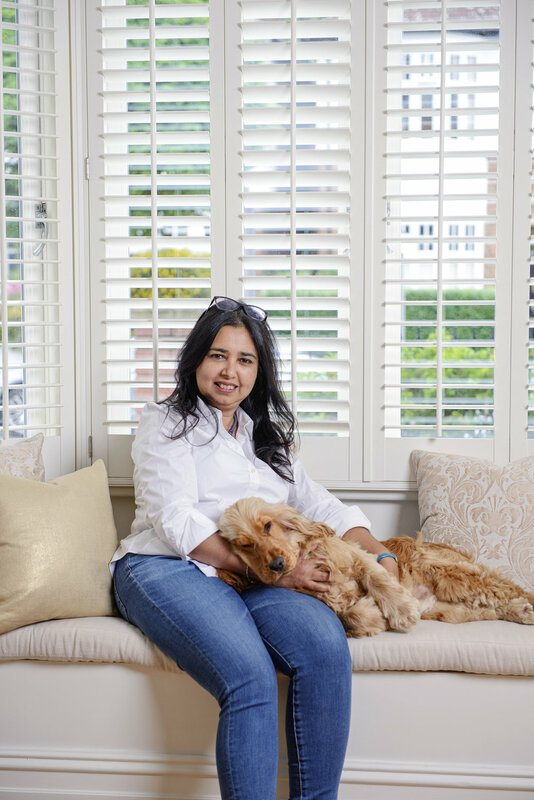 She has written for several international newspapers and magazines, including The Observer, The Times of India and The National. She is currently working on her fiction.